What Does Titus 2:3 Mean? 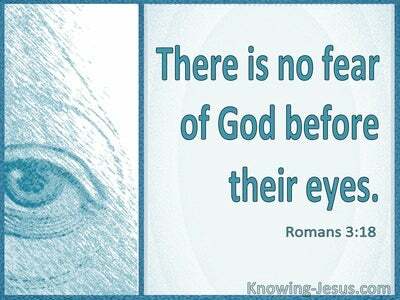 Paul warned that many would profess to know the Lord and yet would deny Him by their ungodly works. Many wolves would enter the flock of God.. professing to know the Lord.. and yet they would repudiate Him by their unholy works. Instead Paul called for believers to speak the truth about the things of God in the body of Christ, to preach the Word and to teach all that belongs to healthy doctrine, and Paul also advised that a practical admonition and serious rebuke be made to all teachers who were infecting the churches with their doctrinal lies. 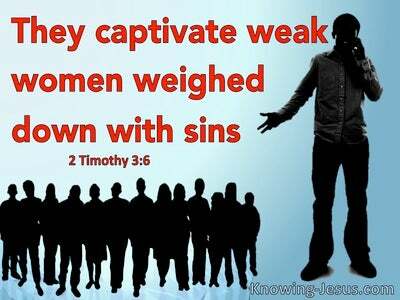 Sound doctrine and a challenge to false teachers is just as important today as it was in the time of Paul. 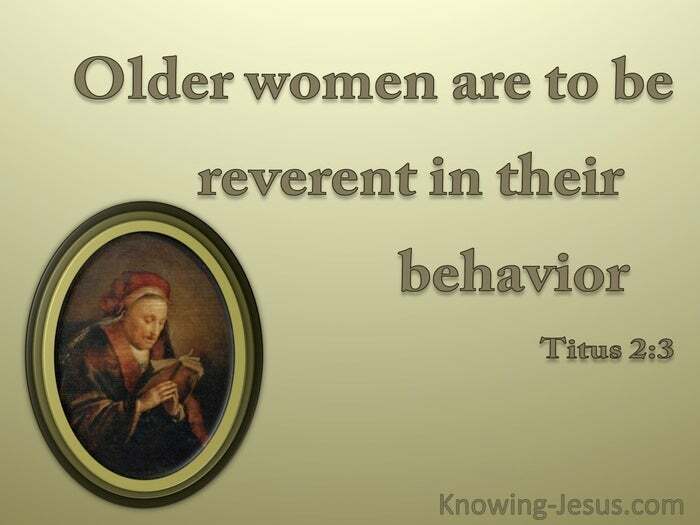 While the older men were to be self-controlled, worthy of respect, reverent in behaviour and committed to sound doctrine Paul similarly gave good instruction and wise advice to older women as well. Paul's advice to experienced, godly ladies that were advancing in years, gave emphasis on providing good teaching, sound instruction and wise advice to those that were younger in age and who lacked practical understanding. These older women of God were called to encourage younger women to remain faithful to their husbands in difficult circumstances as well as during those happier times in life. They were to promote virtuous living and the wise management of their homes and children. They were instructed to teach what is good, to be purveyors of godly works, to live life with dignity and integrity and to be temperate in all their habits and everyday practices - and they were called to warn of the pernicious practice of gossiping and critical comments, which can so often degenerate into slanderous words and unrighteous attitudes. 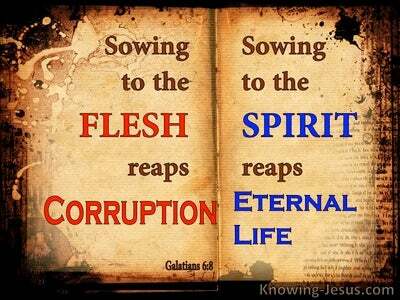 Times today are not so different from the time of Paul's earthly ministry. 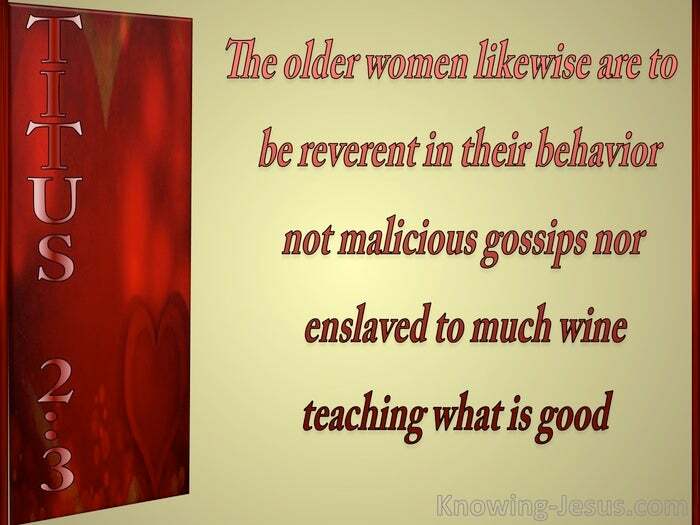 Older women are still called to be reverent in their behaviour, not to be malicious gossips nor enslaved to much wine. They are to participate in that which is good and to avoid all that is evil. They are called to urge the younger women to love and respect their own husbands and children.. to be self-controlled and pure, to be busy at home.. to be kind and gentle - and to be subject to their own husbands - so that no one will malign the Word of God. No matter what age we may be, may we seek to carry out Paul's timeless instructions on godly behaviour in our life and ministry - to God's praise and glory. 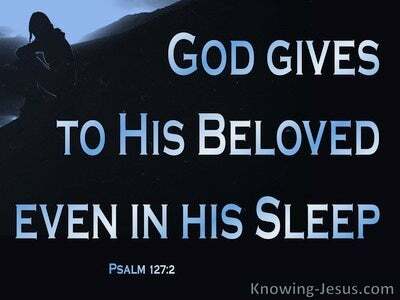 Heavenly Father, thank You for the instructions that are found within Your Word. Thank You for those older people that You placed in my life.. to give me wise advice and sound teachings and I pray that as I too get older.. You will use me to be a source of help and encouragement to those that are younger in years. Give me sound wisdom and understanding of Your word.. and the ability to be used by You to admonish and instruct others as You see fit, in humility and grace. This I ask in Jesus name, AMEN.